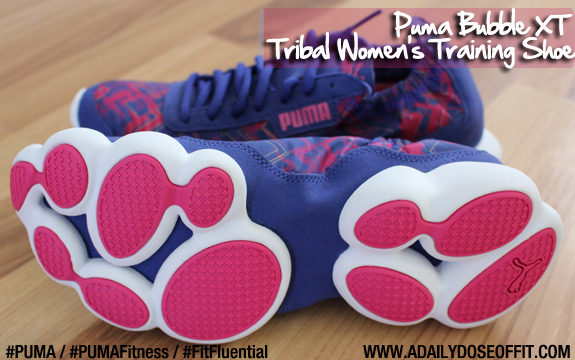 The following post is sponsored by FitFluential, LLC on behalf of PUMA. As always, thoughts and opinions within are my own and in now way reflective of free product or compensation. I tell it like it is, y'all. You know this! 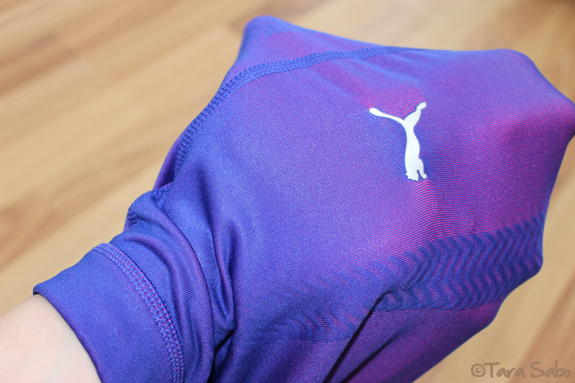 A few weeks ago, I was given the opportunity to test out some fitness gear from Puma. I'm still loving my FormLite XT cross trainers, so this was an opportunity that seemed appropriate and worth it. As a fitpro, I geek out over good gear—and, of course, I want you to know about it, too. Especially if it's not worth your time. I'm not one to promote or hide the negative. So you can trust what you read here. Now, my opinions. Let's start with the pants. If I can see my skin, then I'm out. It doesn't matter how cute they are. That type of embarrassment isn't worth it. As you can see above, you can't really see my skin, but you can see more of the pink. And the interior athletic tape. Puma integrates athletic tape into the entire ACTV line. The pink comes through quite a bit, too. I will say, though, that I could not see my underwear from behind...but the tape lines going up my hamstrings and around my glutes were still a bit distracting. So I still haven't worn these bad boys to the gym. Remember: I'm way paranoid about workout pants. In the end, I think I'm going to file these away for my postpartum return to race training. Because let's be honest, I think I'll appreciate them more at that point anyway. Find a runner who's legs don't get sore on long runs and, well...good luck with that. I'm putting a lot of faith in the ACTV technology to relieve what will surely be tired legs. Stylish. Lightweight. Comfy. And totally fun for basic training. I definitely do not like running in them, and I wouldn't advise doing any sort of distance training in them because of the broken sole, but again—for basic training and everyday cardio bursts in between things, totally great. And exactly what they're meant to be used for. You can't beat a funky and functional shoe, really. Can we all agree this bra will look fantastic under the tank? Until then, I'll wear it as a reminder that more running is definitely (hopefully) in my future. 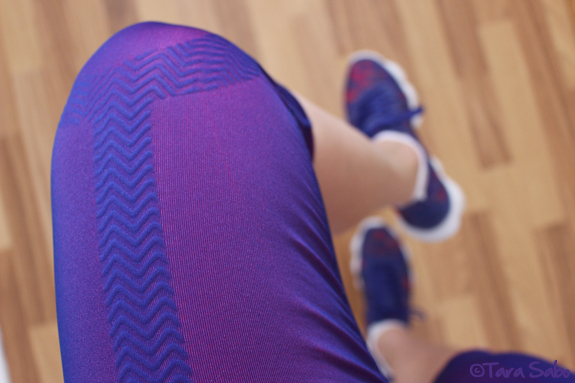 Question: Are you picky like me when it comes to fitness pants? 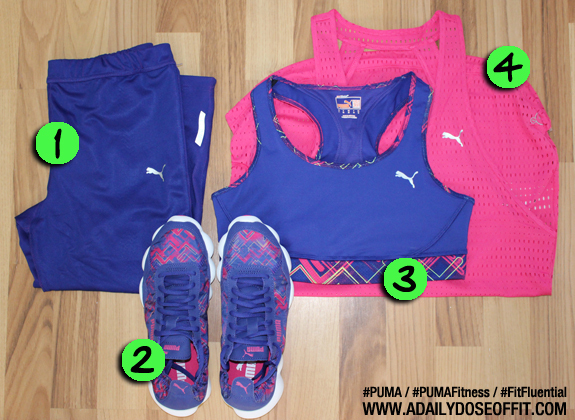 How do you feel about the Puma ACTV tights above? Is the visible tape acceptable, or totally not? Thoughts? Would you wear them? I'm loving the colors! As you, I don't like to wear see through pants! I don't think people is interested in seeing my underwear!! Good goals! I passed my BodyPump instructor training this weekend, so my goal for March is to learn my choreography so I can record my video and have it in the first week of April. Wish me luck! I'm not good with choreography and this belly is going to make it challenging. Is that ice cream up there? Yum!